A trigger is a zero-sized node that has no visual representation and fires callbacks when it is enabled/disabled (an enabled callback function is called) or its transformation is changed (a position callback function is called). 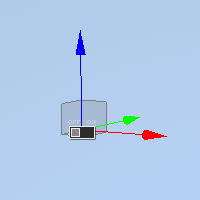 The trigger node is usually added as a child node to another node, so that the callbacks will be fired on the parent node enabling/disabling or transforming. The enabled and position callback functions should be implemented in the world script. The trigger nodes can work with procedurally created world cluster and world clutter objects. For example, a trigger node can be added as a child to a node that is baked into a world cluster in order to fire theenabled callback when the cluster renders this node (i.e. enables it). On the Menu bar, click Create -> Logic -> Node Trigger. Place the trigger node in the world. Add trigger node as a child to a node for which callbacks should be fired: select the trigger node in the World Hierarchy window and drag it inside the required node. 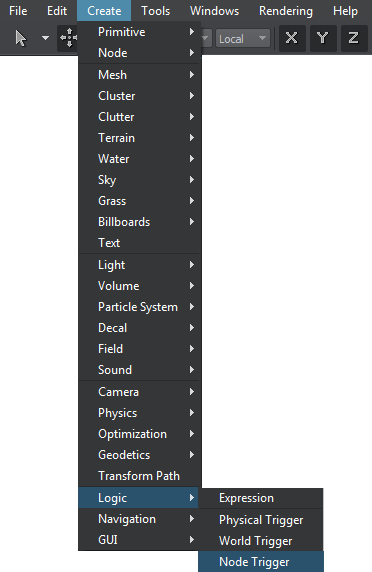 To edit the trigger node, select it and go to the Node Trigger tab of the Parameters window. 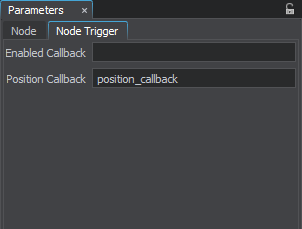 On this tab, you can specify the callback functions that will be called when the node trigger or its parent node is enabled/disabled or transformed. The callback functions must be implemented in the world script (on UnigineScript side). The enabled and position callback functions should receive a trigger node that fired the callback as its first argument. 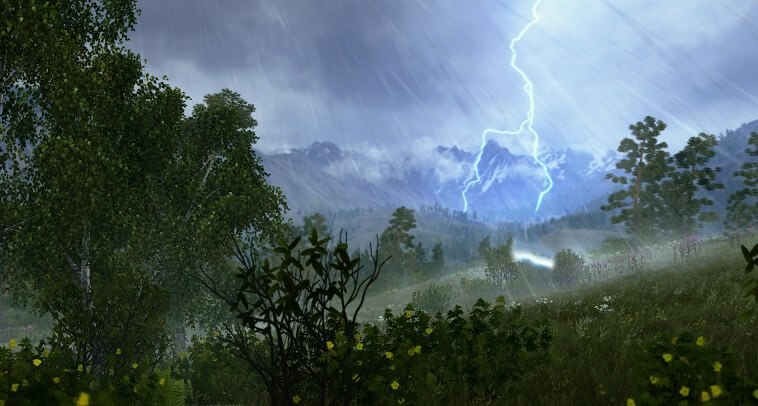 However, they can also receive a node or even no arguments at all. The callback function can also take 2 additional arguments. However, you can set such callbacks via the code only. Via UnigineEditor, you can only specify the callback functions that receive 0 or 1 argument.